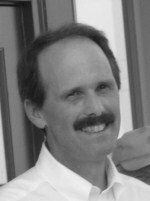 Bruce Pruitt-Hamm, JD has been training others in nonviolence and conflict resolution since 1971. He currently serves as Chair of the Western Washington Fellowship of Reconciliation and on the Board for the Association of Family and Conciliation Courts of Washington State. He has served two terms on the FOR National Council in 1986-89 and 2005-2008. He was the founder and Chairperson of the Stevens County Fellowship of Reconciliation from 2002 to 2011. Currently a civil trial attorney and mediator in Seattle, Washington, he has also served as a Special Assistant Attorney General with the State of Washington and the President of the Stevens County Bar Association after acquiring his law degree from the University of Washington. In the past he has served as Executive Director for the Northwest Network for Peace and Justice (1975-76) and the Western Washington Fellowship of Reconciliation (1981-86). He has also served as Co-President of the Washington Mediation Association (1989); Chairperson of the Seattle Nuclear Weapons Freeze Campaign (1982-83); and organizer of the Seattle Pledge of Resistance Campaign. He has been the Nonviolence Training Coordinator for several mass civil disobedience campaigns in Seattle in the 70’s and 80’s, including with Pacific Life Community; Live Without Trident and the May 22nd Coalition (Spokes Council Coordinator for 344 arrested in affinity groups at the Trident Base). He has authored articles on nonviolence and related topics, published in various books and magazines, including “More Power Than We Want: Masculine Sexuality and Violence”, co-authored with George Lakey and re-printed in several books, magazines and textbooks. He taught “Law and Social Change” at Antioch University and has lectured on nonviolence and social change at various universities, including Princeton, William and Mary, and Evergreen State College. He has co-founded with his wife Janis several training organizations (Toolbox Training; Conciliation International; Conflict and Resolution Education) and led nonviolence training workshops with other notable trainers such as Richard Deats, George Lakey, and Shelley Douglass. Janis Pruitt-Hamm, LMHC is a recently retired Licensed Mental Health Counselor and mediator who has also been training others in nonviolence and conflict resolution since the early 1970’s. 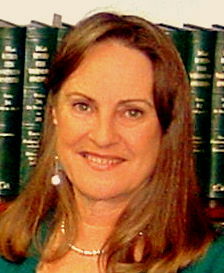 After obtaining her BA in Early Childhood Education from the University of Washington in 1975, and then founding and operating her own preschool until 1982, Janis became increasingly requested to provide counseling and guidance, leading to her Master’s Degree in Counseling in 1986 and her subsequent career as a psychotherapist for children, adults, couples and families until 2015. She also was one of the first trained and certified mediators in Washington State, receiving initial training in 1977 from Bill Lincoln and 1978 from John Haynes. Subsequently, she trained therapists, lawyers, judges and others in domestic mediation skills as faculty for the Pacific Family Mediation Institute from 1982 through 1994. From 1984-86 she mediated class action suits and related civil cases through Washington Arbitration and Mediation Services and thereafter provided mediation services through her own business and through Pruitt-Hamm Law and Mediation Services, PS. Her initial training to be a Nonviolence Trainer came in 1975 from George Lakey, the founder of Training for Change and author of many books, including the civil rights classic, A Manual for Direct Action. She met Bruce while participating in the Pacific Life Community nonviolent direct action campaign against the Trident nuclear submarine base at Bangor, founded by Jim and Shelley Douglass. She helped train affinity groups and other participants in that campaign and in other campaigns over the years, such as anti-nuclear power demonstrations with Crabshell Alliance; Nuclear Weapons Freeze Campaign; and resistance to the U.S. military involvement in Central America in the 1980’s. 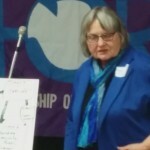 Janis was a founding member of Toolbox Training in the 1970’s and early 80’s, providing training in group dynamics/facilitation and related organizing skills. She was the Director of Conflict and Resolution Education in Colville, Washington, a project of the Stevens County Fellowship of Reconciliation, which she helped lead. She worked with former FOR staff Richard Deats and Janet Chisholm in providing non-violence training to the community and the schools in rural Eastern Washington. With Bruce, she co-authored the article: “Working in Groups” in Peacemaking in Your Community: A Handbook for Local Organizers, published by the national Fellowship of Reconciliation. Mary Lou Finley worked with Martin Luther King and other activists in the 60’s. She was a faculty professor of Sociology at Antioch West in Seattle for 30 years. She’s a co- author an d presenter of Doing Democracy, describing the Movement Action Plan (MAP) model of how social movements progress and succeed. Mary Lou is also a certified Kingian Nonviolence Trainer, trained by Bernard Lafayette, who was asked by Martin Luther King, Jr., shortly before his assassination, to ensure that training in nonviolence would continue into the future. 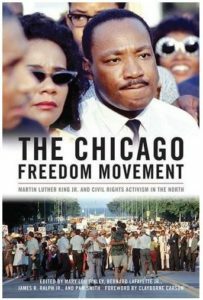 Mary Lou recently finished editing her new book, “The Chicago Freedom Movement” about Martin Luther King’s campaign in Chicago shortly before his death.